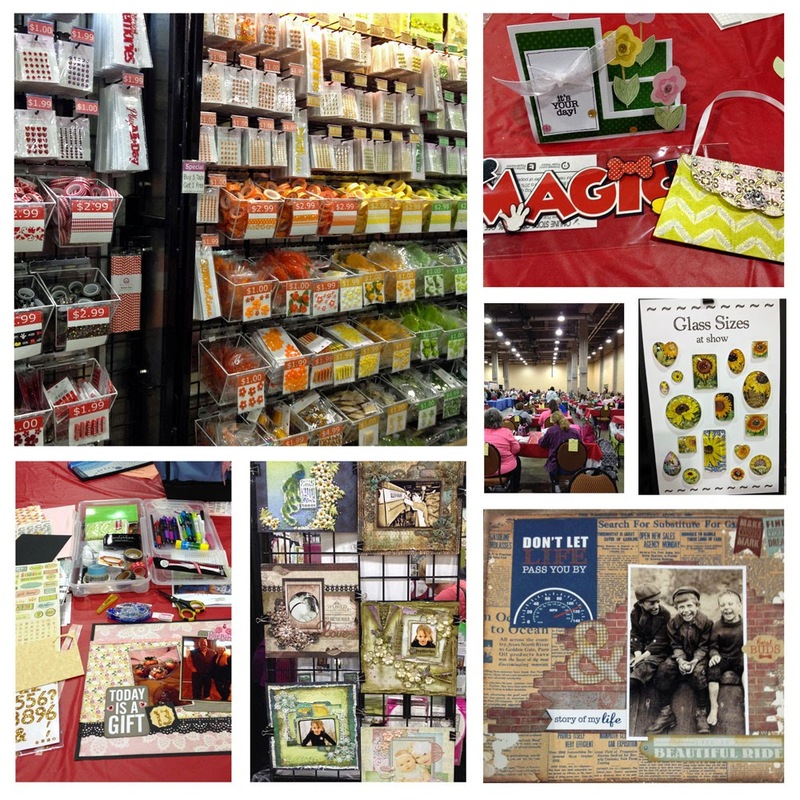 This past weekend I attended Scrapbook Expo in Grapevine, Texas. 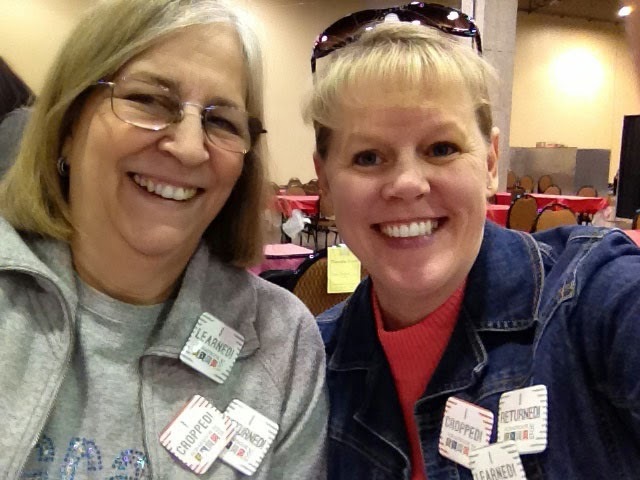 I met up with my friend Amy for the Mega Make & Take Crop on Thursday evening and enjoyed the eleven make & take projects prepared by various vendors, everything from cards to gift card holders to 12x12 layouts (which I'll be sharing in an upcoming post). Friday morning we hit the show floor for a little shopping, then attended a class, and enjoyed more cropping in the evening. 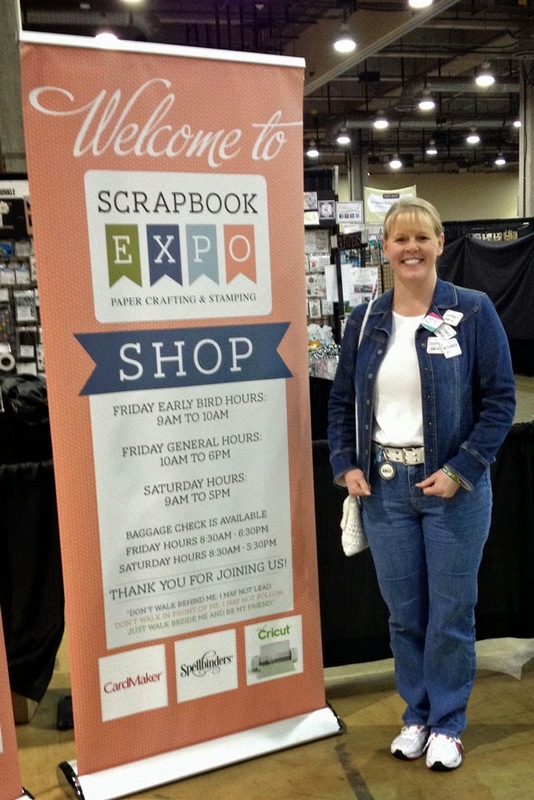 Friday afternoon, I also met up with Susie, the owner of Scrappin' Goodtime, and we toured the show floor again, visiting with vendors as she chose new products for the store. I especially enjoyed seeing all the samples on display and am looking forward to trying out some of the ideas I gathered on future layouts and projects. There was lots of INSPIRATION in the various booths and it was nice to meet some of the business owners who continue to make this an exciting and fun hobby! Honestly, it was quite a whirlwind from the time I arrived at 2 o'clock Thursday afternoon until I headed home at 9:30 Saturday evening. (Amy & I did head to our room for a short six-hour sleep after Thursday night's crop!) 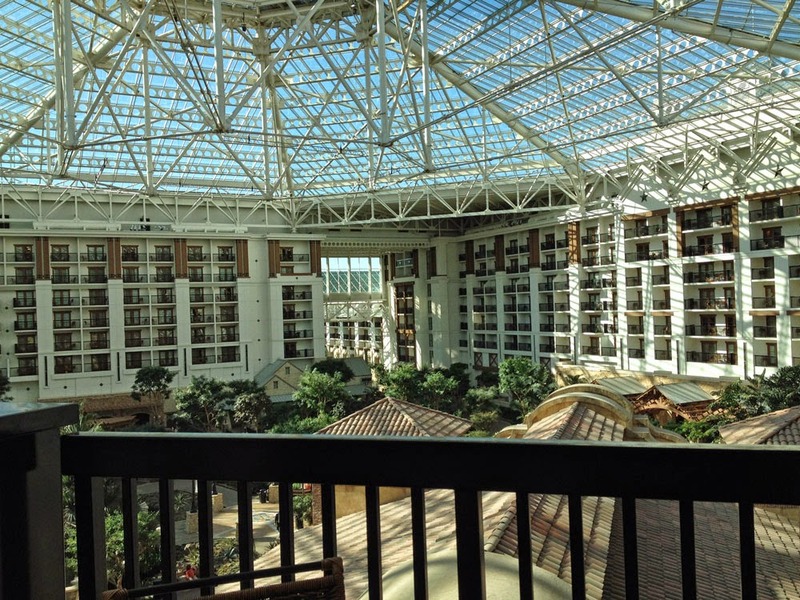 The expo was held at the Gaylord Texan Resort, which is a beautiful place. We had a balcony in our room overlooking the atrium. 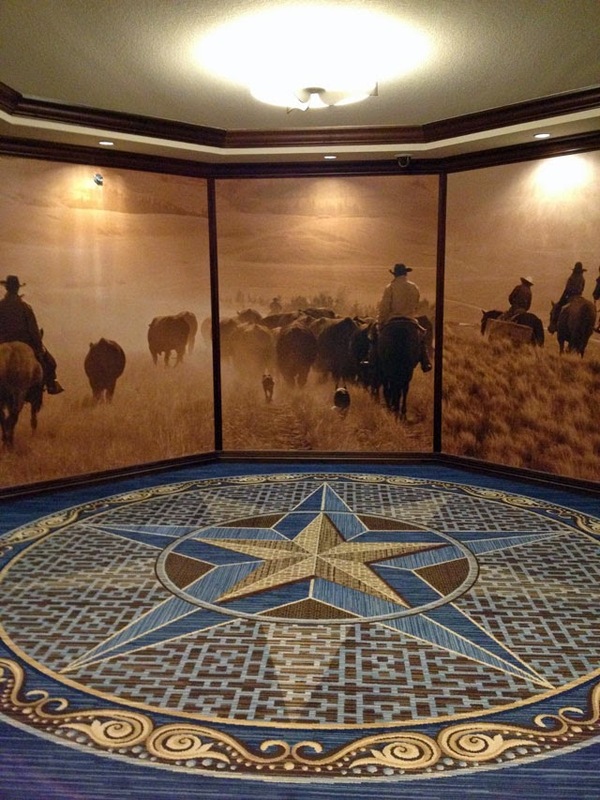 And, of course, the decor is all Texas themed. However, in all the shops and restaurants and vending machines the resort only sells Pepsi. Not so great for a Coca-Cola lover like myself. 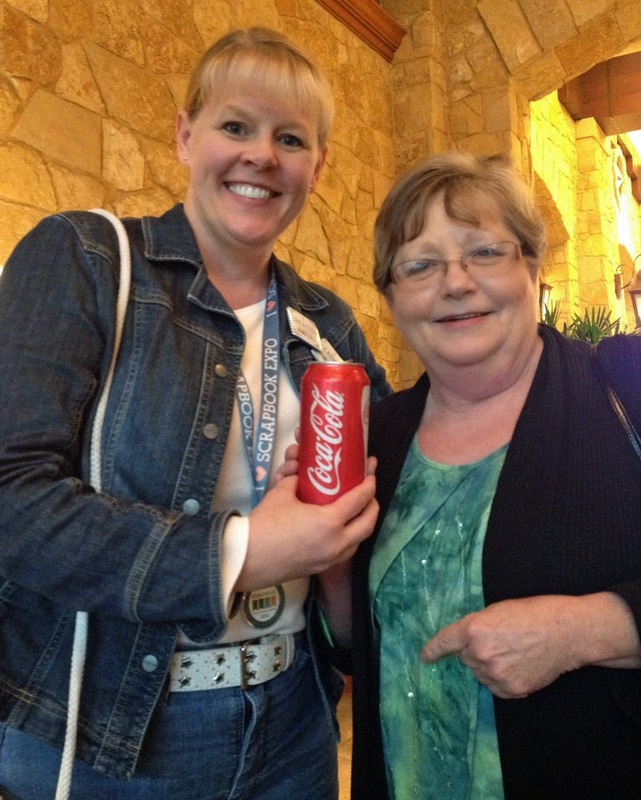 Luckily, Susie & Carla were willing to stop on their way to the show and pick up a Coke just for me! All-in-all is was a FUN time filled with INSPIRATION! I haven't been to a convention like that in a LONG time. I loved getting a chance to see all the new product that's available. I'll get a good shopping opportunity on our way to Florida in a week, but there's nothing left here except the big box stores. Looks like a fabulous venue! Wow, I've never been to anything like this. It looks so good. Exhausting, but good! I haven't been to a scrapbook show in years. Since all of our stores have closed, none come to Nashville anymore. Sad....but at least I can live vicariously through you! Do post your purchases so we can see what's new!! Expos are always so much fun! Looks like you had a great time. January Top Five #5 - Me, Too!